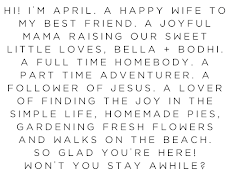 The Joyful Tribe: On Motherhood; My First Mothers Day! On Motherhood; My First Mothers Day! The moment the two pink lines showed up and I discovered that my husband and I were expecting I was completely overjoyed, but at the same time so scared. My dreams of becoming a mother were finally going to come true, I had yearned for so long to have a child of my own, our own, and my heart had ached to hold a child that belonged to us in my arms. I remember becoming sad anytime we'd see a new mother with her baby when we were out. I remember crying so many times, tears of want, till they turned to tears of joy that wonderful day in April last year. Ever since I was a little girl I knew I wanted to get married and start a family, even as young as age 2 I knew that's what I wanted in life. Being a mother for me is the most rewarding experience imaginable in life... It's amazing, beyond amazing actually! The feelings that ran through me the moment Bella was born are unexplainable, I was so overwhelmed with love and joy and happiness... in that moment I became a mother, a moment so sacred and beautiful. The quote "Before you were conceived I wanted you. Before you were born I loved you. Before you were here an hour I would die for you. This is the miracle of a Mother's love." is so true. That's exactly how I feel about my daughter! Being a mother changes you, it teaches complete selflessness, and it teaches you a love deeper than you thought you were ever capable of, and being a mother brings more joy than I can even describe. All the "firsts", the rolling over for the first time, the giggles, trying new foods and discovering what they like and dislike and seeing they're little personalities emerge! But being a mother has its difficult moments too, along with all the love and joy that motherhood brings it also brings a constant fear and worry and an intense vulnerability. Even though we are out of the newborn stage and into the infant stage I still constantly check to make sure Bella is breathing while she sleeps and naps, there are those shots where you cry as much or more than they do, those nightmares you have to soothe and tears you dry, the sleepless nights every night (even if you have a child like me that typically sleeps through the night), those constant what if's. The only way to have true peace is to pray. I am in constant prayer over Bella and her present, and her future, I pray about the things that will happen during her lifetime that I have no control over, I pray that God will keep her safe and keep his hand over her protecting her and guiding her all her life. And I pray that God will lead and guide me and my husband in raising her. Some people might say they don't want children because of the responsibility that comes with being a parent, the responsibility of making the choice to forever have your heart walking around outside of your body but in my small experience the good far outweighs any difficult times and I wouldn't trade being a mommy for anything in the entire universe. I look at Bella with all the love I feel for her and I become so thankful for my own mother because I now know how she feels about me and how she's always felt about me, even during the times in my childhood and teen years when I had my difficult moments. As an adult and as a mother it all makes sense now and I wonder how many sleepless nights I have given my own mother. I know there is no way to thank her for all she has done for me (and even still does, though we live thousands of miles apart)... I love you Mom! And as I lay here holding my 5 month old daughter, after rocking her back to sleep after she woke from a nightmare I know without a doubt that this is what I was created to do, this is the path God chose for me when I was still in my own mother's womb and I wouldn't truly be happy doing anything else. I am so blessed beyond my wildest imagination! 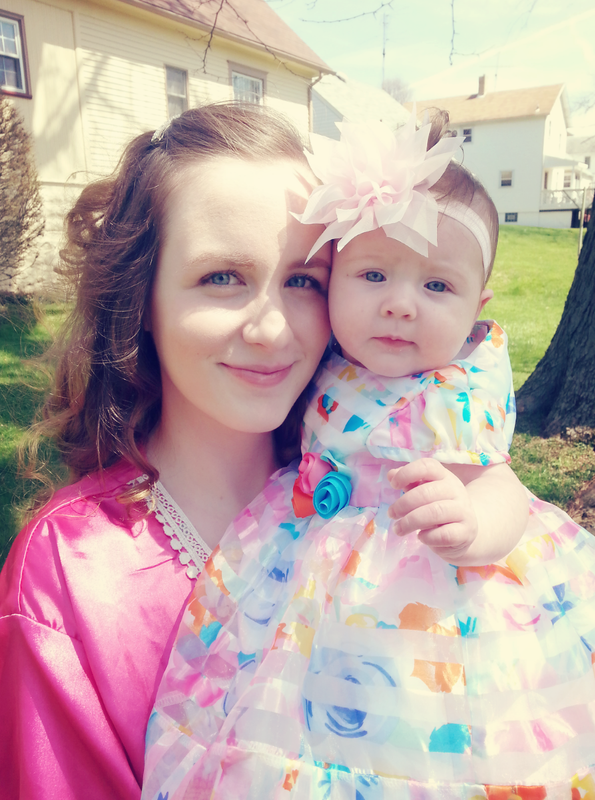 Bella and I recently on her first Easter! 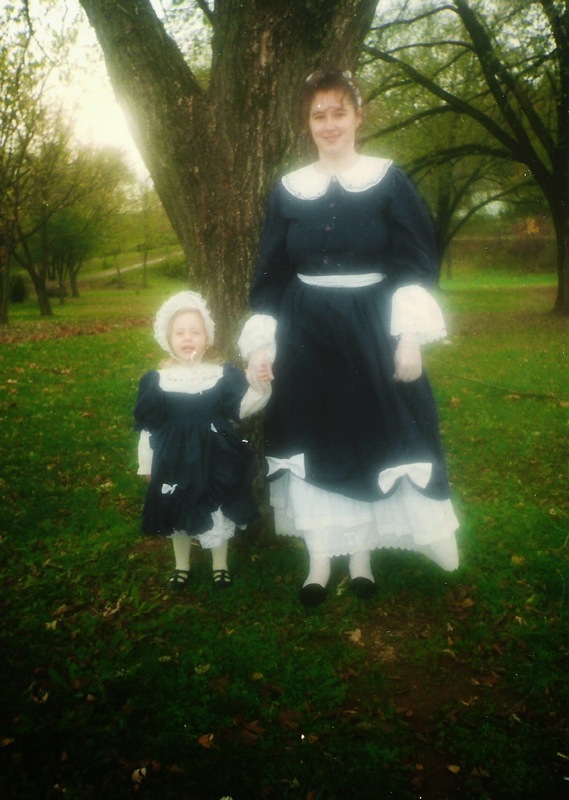 My Mom and I dressed up for an event when I was just a couple years old.